Published by Joshua Clare-Flagg on 19 Jun, 2013. 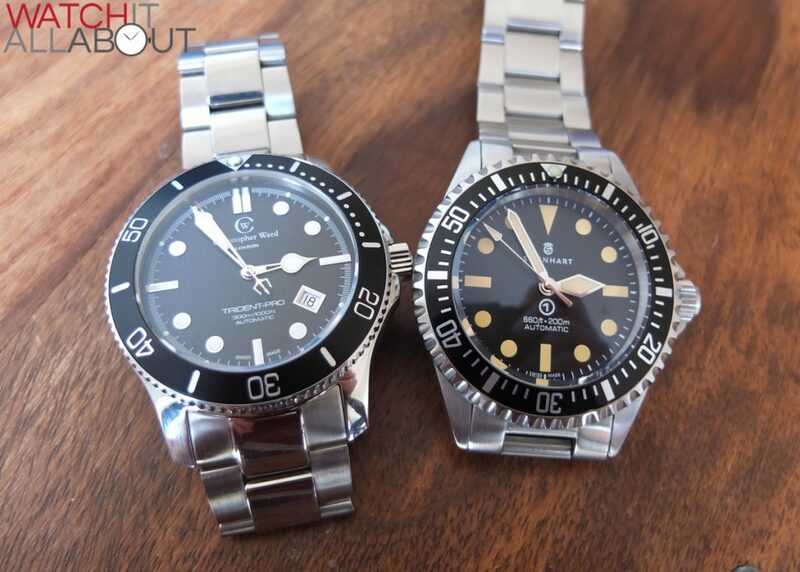 I have seen so many people posting on numerous forums asking for guidance on which is better: the Steinhart Ocean Vintage Military, or the Christopher Ward C60 Trident. 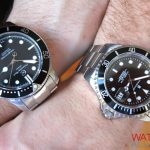 They are both an affordable Swiss Made diver, costing a similar amount (around £100 difference), and are more-or-less Rolex homages. 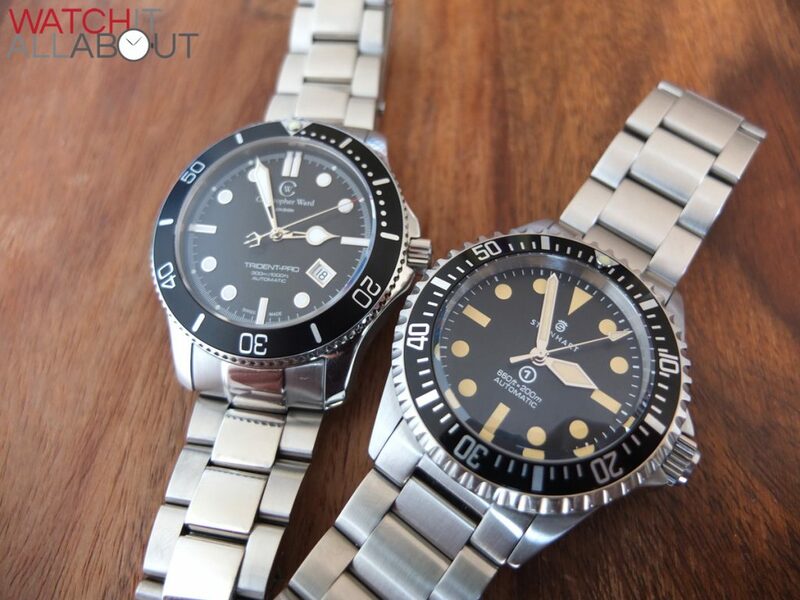 I am in the fortunate position to own both, so I thought I would compare the two for anyone who is currently considering either of these great watches. The case of the Ocean Vintage Military seems to be slightly better finished and machined than the C60 Trident. This is most probably because the Ocean line has been going for quite some time, as Steinhart used to be related to Debaufre, Robert and Grovana. (Source here) This would allow them a longer time to refine and improve the case. 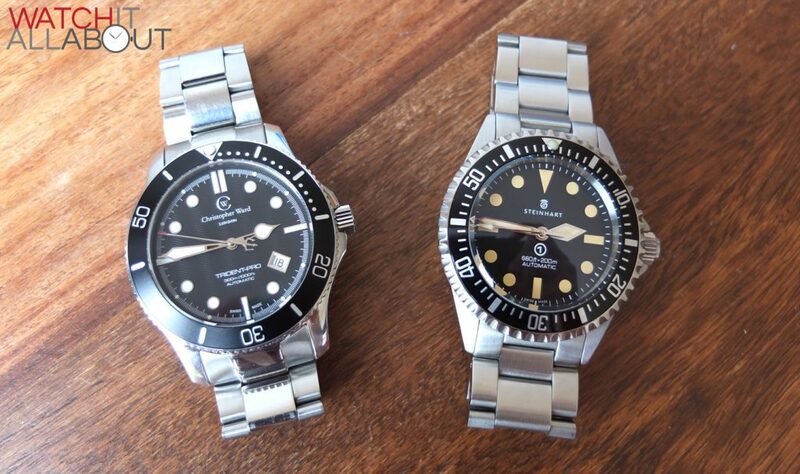 The lugs of the Steinhart are very flat, whereas the lugs on the C60 trident are more curved downwards. 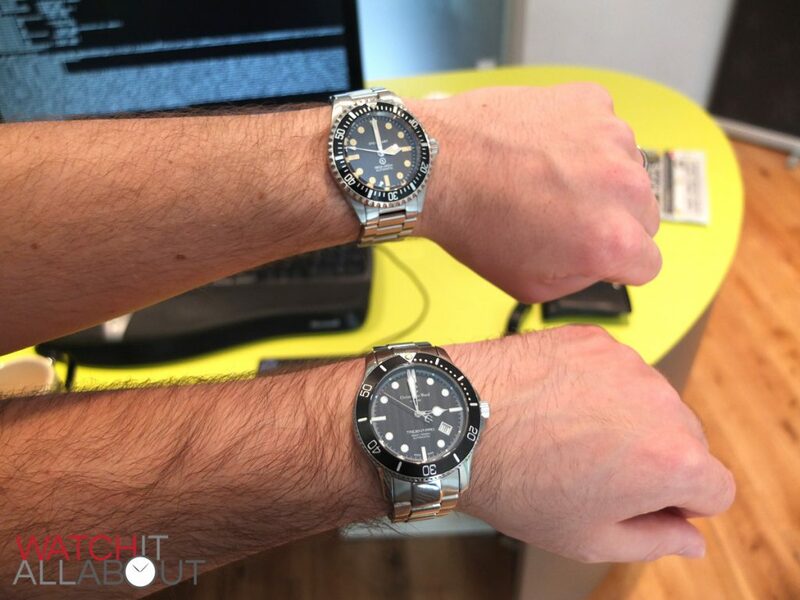 This results in the C60 fitting on the wrist much better, as the OVM (with its long lug to lug length) sits very flat on the top of the wrist, rather than hugging and going around it (as the C60 does). The crown on the OVM has a nicer feel to it whilst unscrewing it, and the engraving on it looks and feels higher quality than the C60. I also prefer how the crown guards are angled more and hug around the crown more on the OVM. 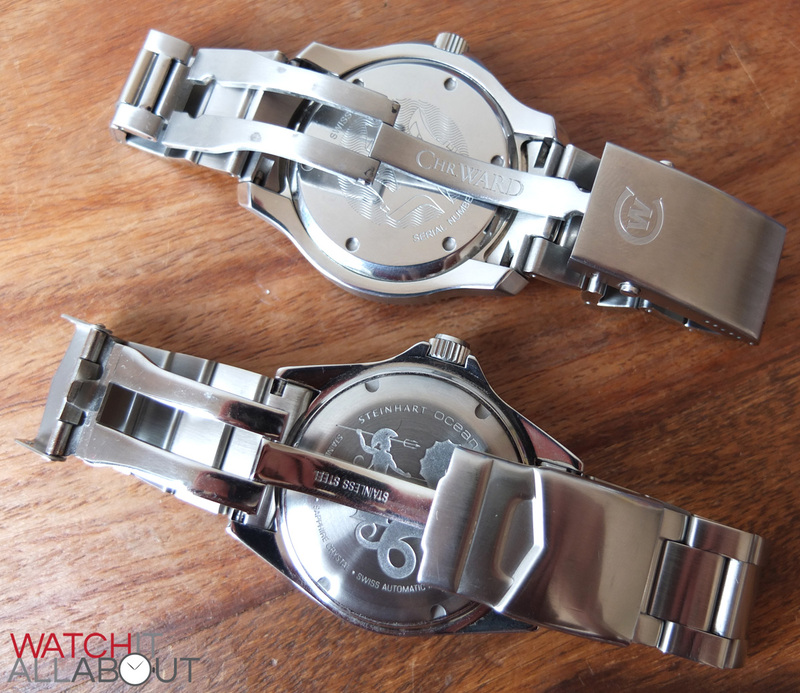 Whilst the case back on the C60 is a nicer design, the engravings aren’t as deep or feel as nice as the OVM. The logo on the OVM case back is so much deeper than the (better looking) trident on the back of the C60, as is the text. 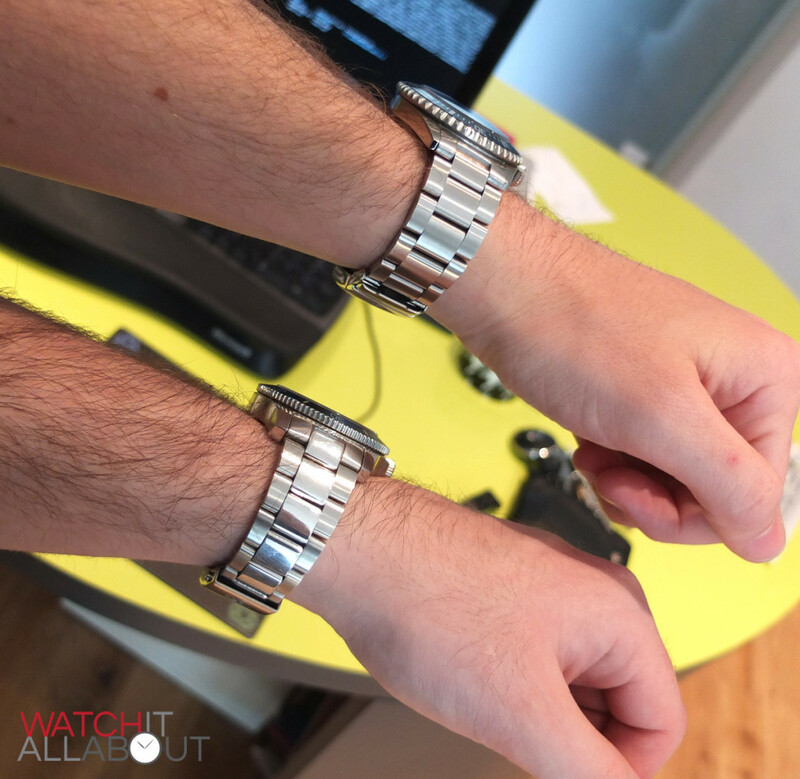 Both watches have a sapphire crystal, as you would expect. The C60 has a slightly raised flat crystal, and the OVM has a lovely domed crystal, which is also slightly raised. 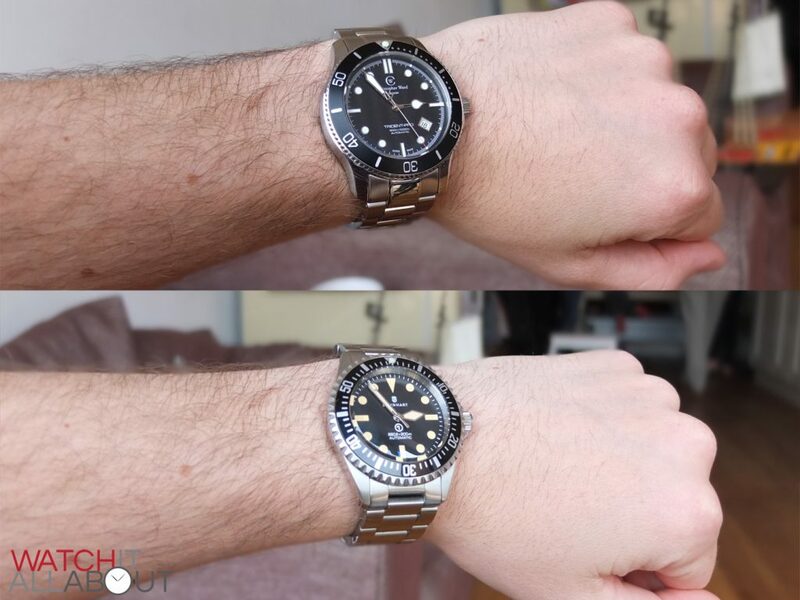 Both have reasonably effective anti reflective coating on the underside – although the Ocean Vintage Military slightly wins this one, it is a tiny bit better at removing reflections (this will also be helped by the domed crystal rather than flat). 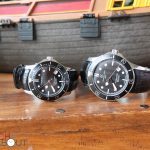 The dials on both of these watches are pretty opposite – the OVM is very matt and flat, whereas the C60 is full of texture and has applied items, giving it greater depth. Deciding what is better is merely a personal choice of what you prefer – in my case, I love texture, so I prefer the look of the C60’s dial, with the wave texture, applied hour markers and great date window. I still appreciate and love very much the simplicity and flat design of the OVM however, but the dial indeed is very flat – matt dial, no applied hour markers (they are blobs of lume) and no date window. 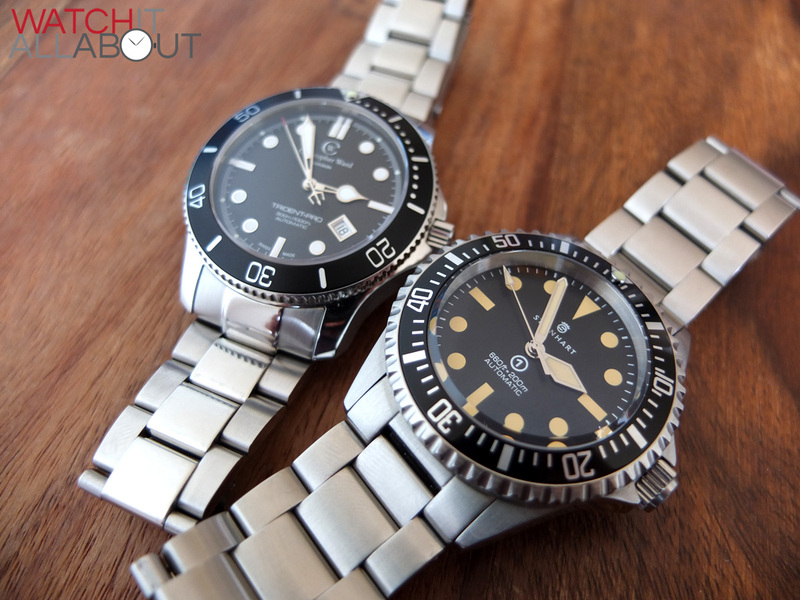 The C60 is a more original and unique dial too, whereas the OVM is a homage to the Rolex Submariner 5517 Mil-Sub. Both sets of hands are flawless and great looking in their own right. I really like the shapes of them all, very well thought out and designed to be the perfect sizes. The lume on the OVM is by far the more superior, it doesn’t take a lot to charge and when it does, it shines pretty bright. The lume on all Christopher Wards have sadly been one of the worst parts of all of their watches, they don’t last or charge very well at all. 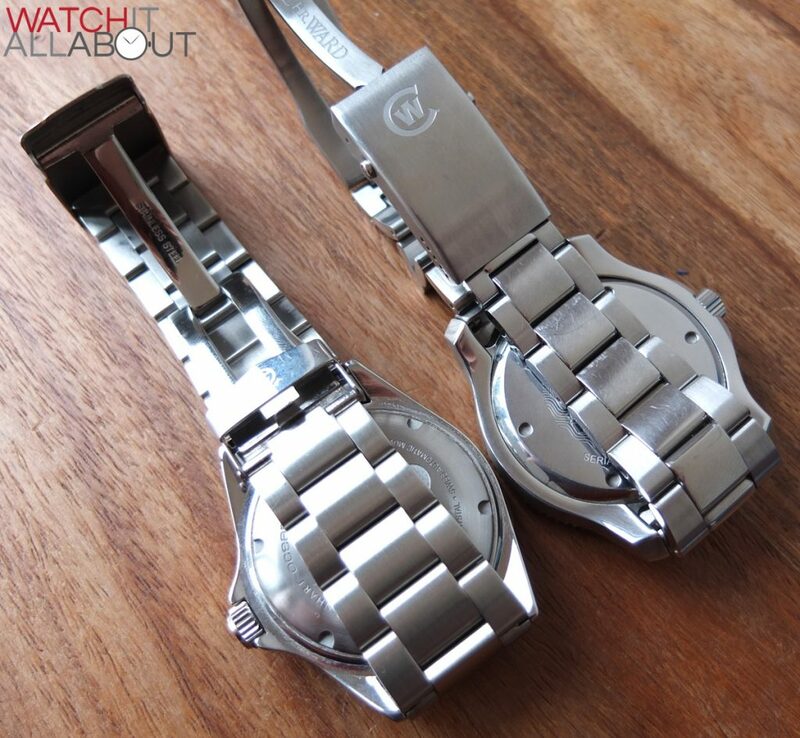 The bezel of the OVM has a much nicer and refined movement and feel to it. It also has a better grip running around the outside edge. 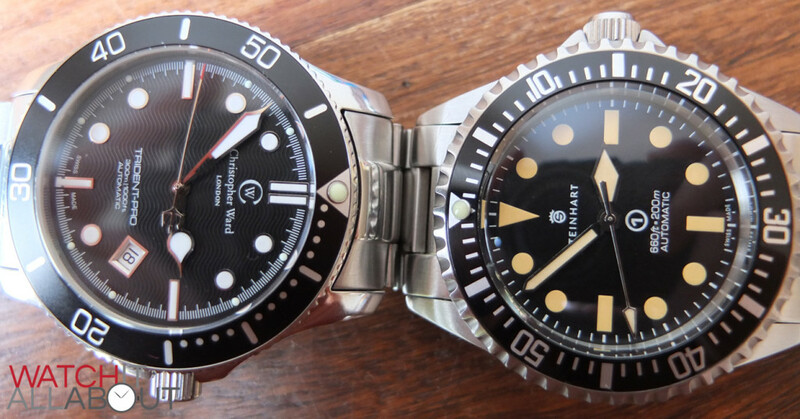 Both bezels have a triangle at 12 with a lume pip within. 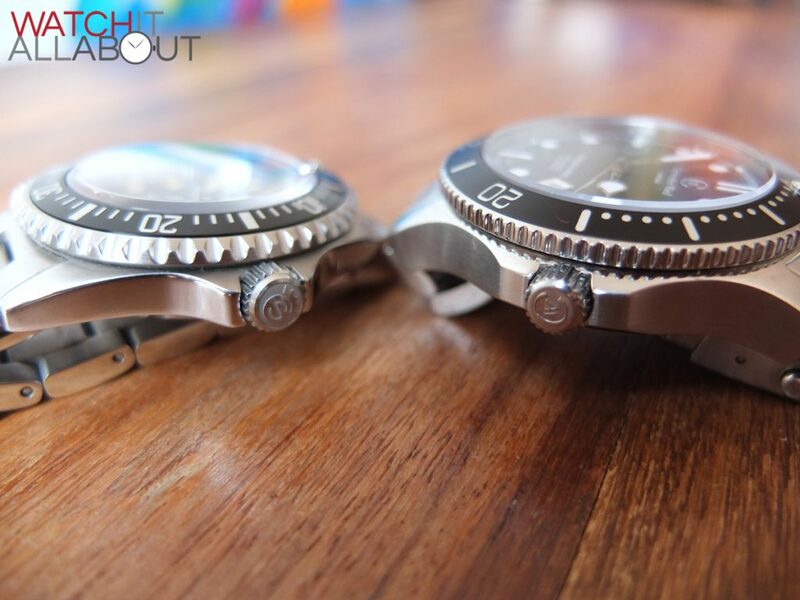 Both lume pips are flawless, the OVM being slightly more raised than the C60. In a design point of view, I probably prefer the more subtle look of the C60. The OVM is a bit harsher with the markers running every minute all the way through, and the more aggressive font. 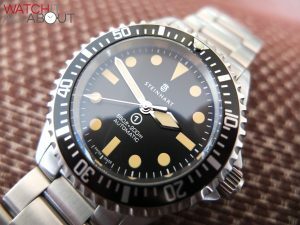 Steinhart still guarantee an ETA 2824-2 movement in the Ocean Vintage Military. 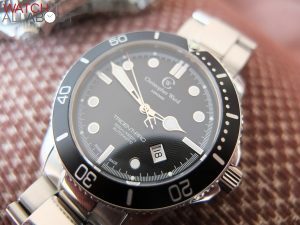 The C60 has either that same ETA movement, or the Sellita equivalent – the SW200. Some people may think that the SW200 is inferior to the classic tried and tested ETA, but this is not the case. In fact, Sellita were contracted to build many of ETA’s movements, so chances are, the ETA found in any watch could have been built by Sellita. I personally don’t mind either way, especially being that the C60 has a 5 year guarantee on the movement. As long as it runs at 28.8k bph, and is accurate to around 10 seconds a day, what more do you need? 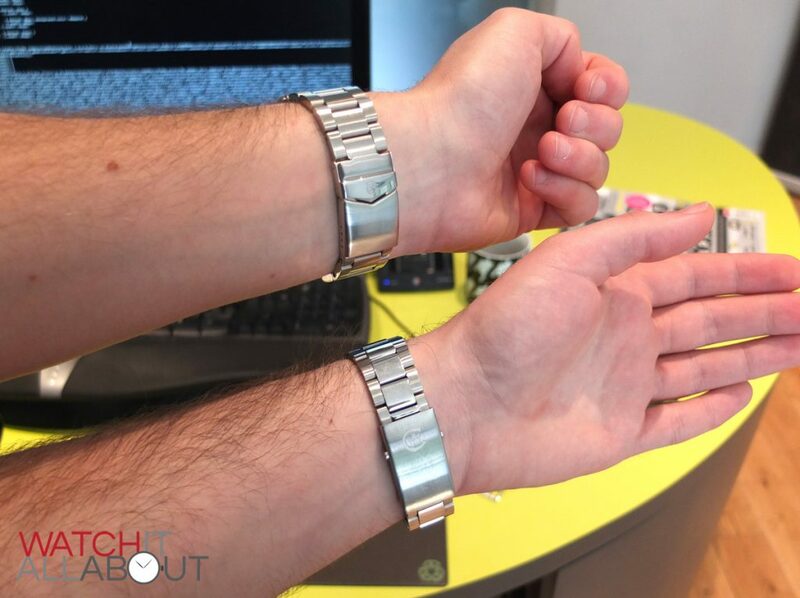 Both bracelets on the OVM and the C60 are fantastic. Both solid end links fit the cases perfectly. I personally prefer the links of the OVM, but prefer the clasp of the C60. The links on the C60 are a highly polished link – which is easy to scratch. 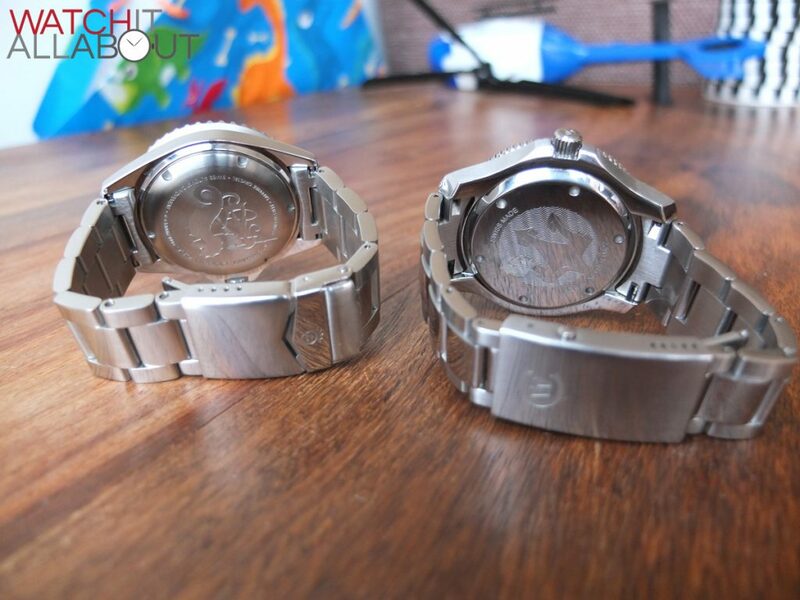 The completely brushed links (apart from the outside edges) of the Steinhart mean that it will look new much longer. 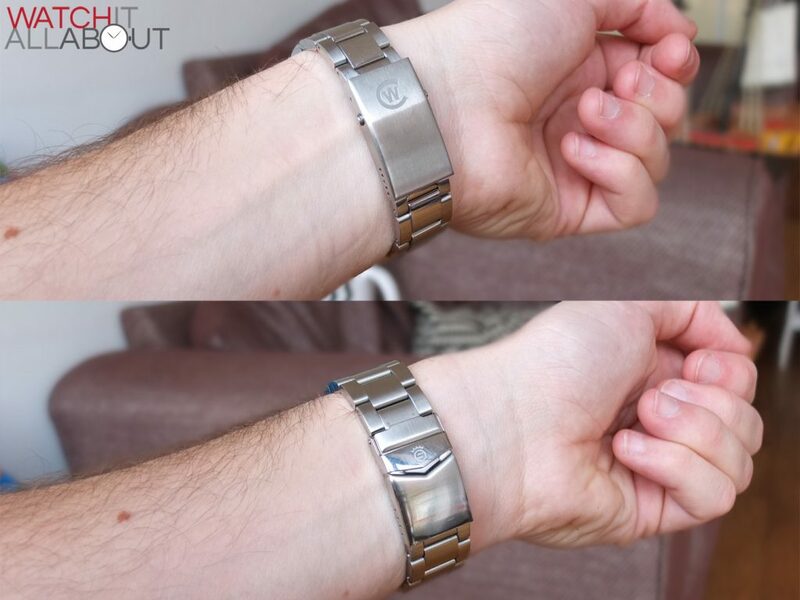 I also prefer the way the bracelet on the OVM stays wider, rather than getting a lot narrower like the C60. 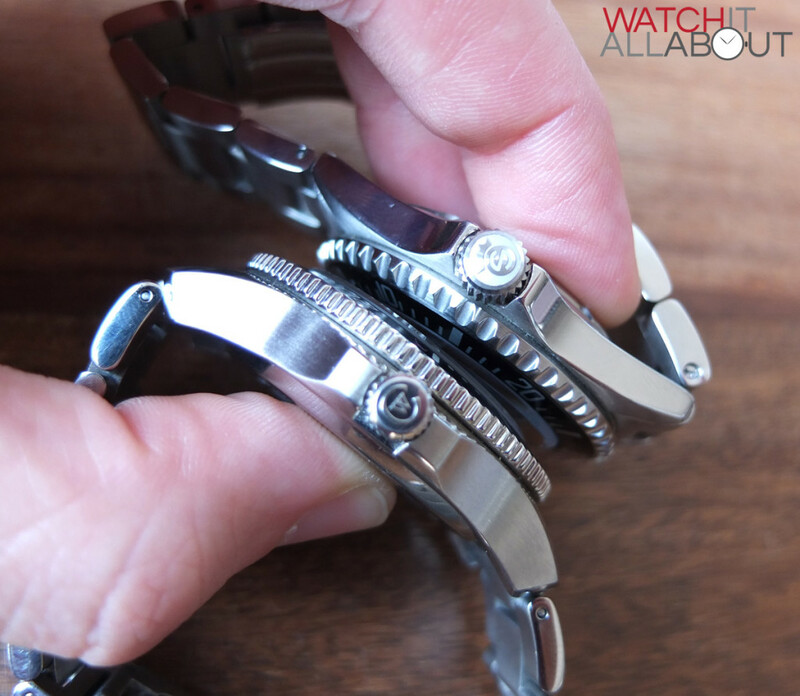 The clasp on the C60 is much easier to use, and feels higher quality. 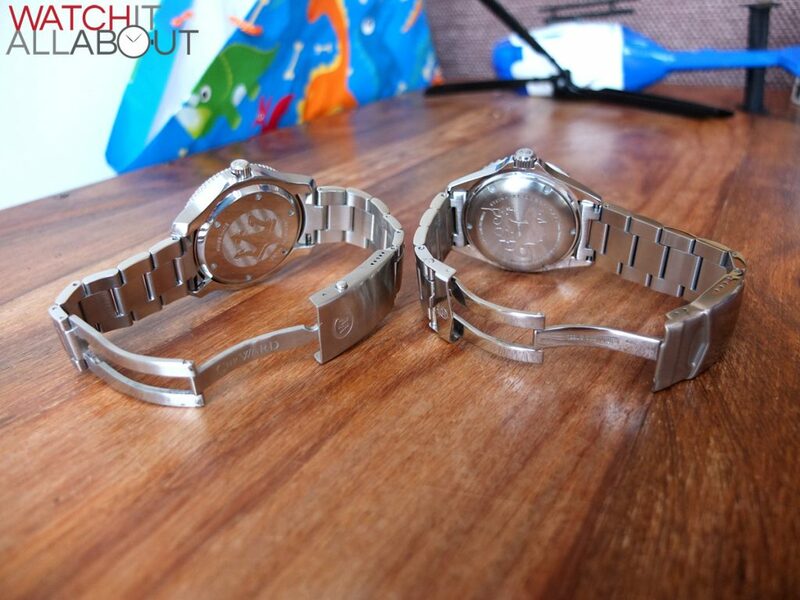 These are both truly stunning watches for the price. If you went for either one, you wouldn’t be disappointed. 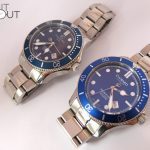 I have found that the resell value of all Steinharts are amazing – so if you were thinking of buying a watch that wouldn’t depreciate much at all, and that you could sell on for a similar amount, then the Ocean Vintage Military is the one to go for. It also seems to be the more refined and better finished of the two, mainly because of the age of the Ocean range. But, if you’re not so bothered about the money, and can afford the extra £100- then I would say that the C60 just about pips it. This is mainly because it offers more to the wearer and buyer – such as 5 years warrantee, applied hour markers and a great date window, lovely patterned dial, and a more unique design. That’s MY personal choice, but obviously everybody’s different, and have different views on what makes a watch more valuable to them. I have had my C60 Trident for over a year now – and even now, every time I look at it, it still blows me away. But that’s not saying that you should go for it! It’s up to you, and which one YOU prefer. Excellent comparison. 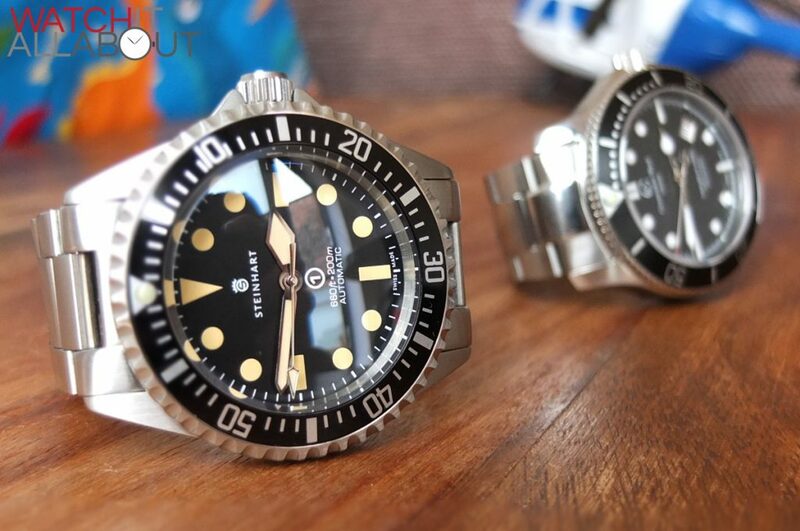 You could put a gun to my head and I’d still have a tough time deciding between these 2 watches. Keep the reviews coming! Great review and much appreciated. Tough call for me as well. 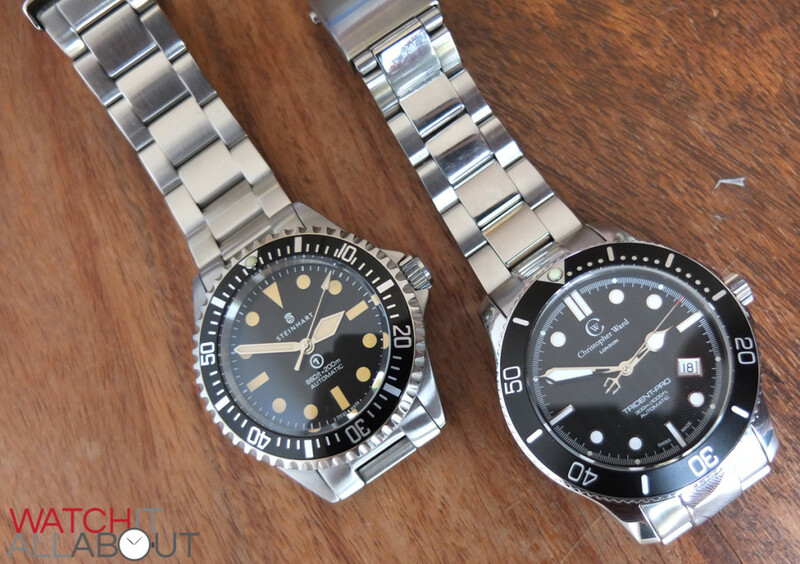 I prefer the OVM’s dial, hands and domed crystal but prefer the C60’s curvier case design and cleaner looking bezel. Thanks for the review. This is exactly what I am looking for. On pretty much every point except the clasp, you have shown a slight preference for the OVM. 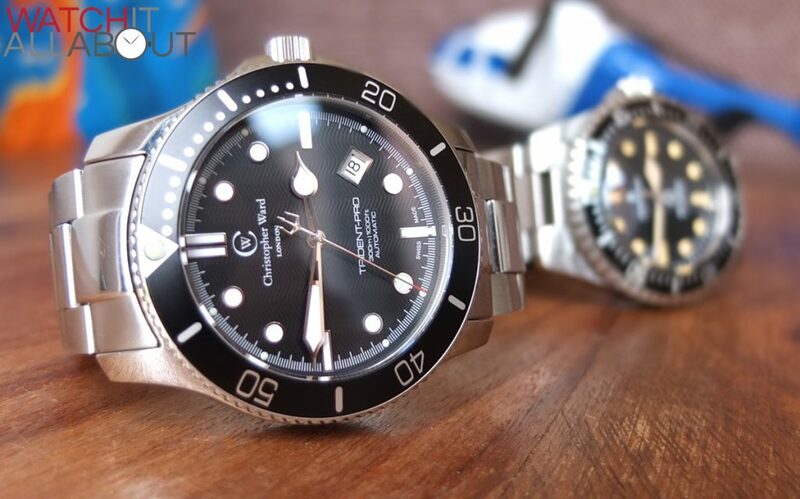 At more than $200 dollar cheaper (the C60 on bracelet is US$700, OVM is US$450 without VAT), the X-factor for Chr Ward must be exceptional for it to be the logical choice. 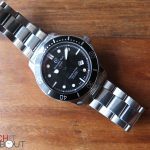 C60 definitely has a much dressier dial IMO and the benefit of the date window, but the OVM… wow, what a watch. A very good review but I would probably disagree with one or two things. 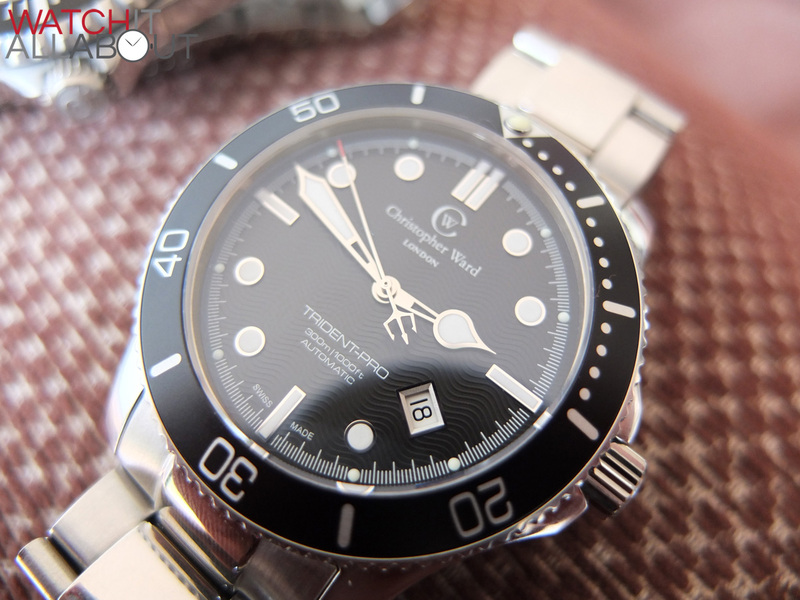 I have a Christopher Ward C60 Trident GMT and have just bought a Steinhart OVM. In terms of build quality and features I would say they are on a par. They both have ETA movements. 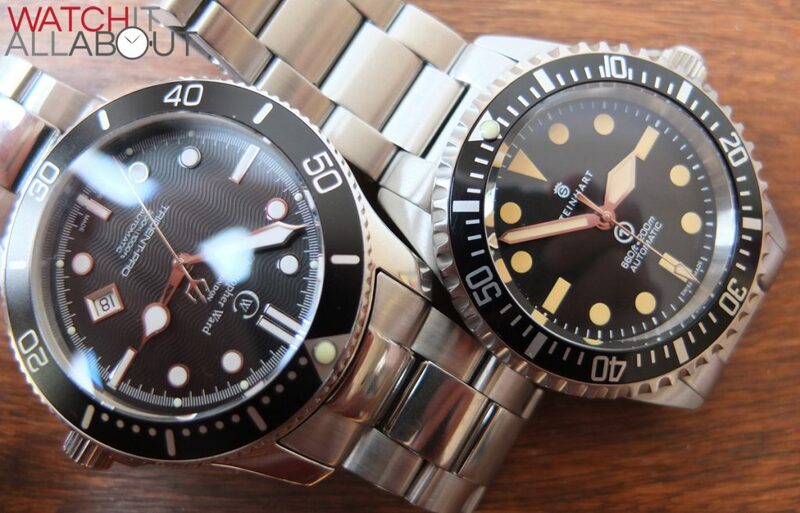 If anything the OVM has a more precise bezel and also has domed sapphire crystal whereas the Trident’s is flat. I think it’s a mistake to say that the price is “a similar amount”. 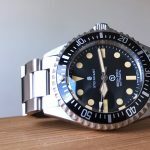 To compare “eggs with eggs” a CW Trident Pro on a steel bracelet costs UK £510 whereas the Steinhart Ocean 1 costs €350 = £280 (not including delivery in either case). 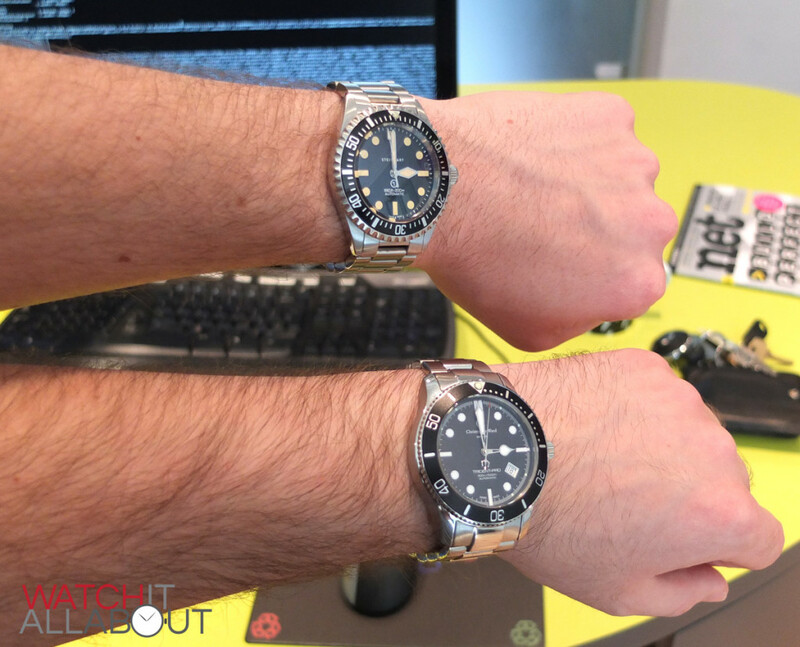 So the Steinhart is 45% cheaper than the Christopher Ward… nearly half the price. 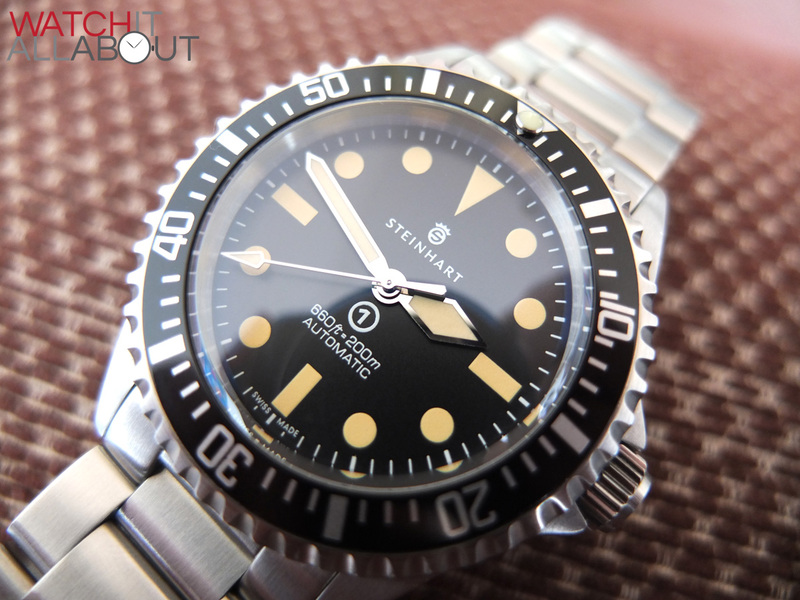 In terms of value it is a no-brainer, Steinhart wins by a mile. Steinharts are also renowned for maintaining their value when it comes to reselling. 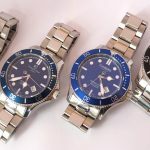 Where Christopher Ward leads is in their warranty and also their watches tend to be original designs where Steinhart are known for their “homage” watches.